We love all of our heros and are thankful for each and every one! 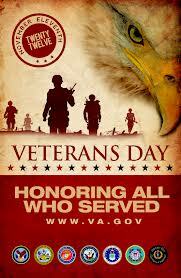 We, too, are so thankful for our veterans and their amazing sacrifices for us all. Very nice banner and beautiful way to honor those who have fought for us. I raise my paw in salute to our veterans today. We join you in saying thank you. Seriously...if we didn't have freedom of speech, we kittehs wouldn't be allowed to share our snarkiness online. That's a TRUE freedom in our book!